2017 Ultimate Homemaking Bundle Only $29.97! (97% Off!) - ENDS TODAY! You are here: Home / Coupons and Deals / 2017 Ultimate Homemaking Bundle Only $29.97! (97% Off!) – ENDS TODAY! 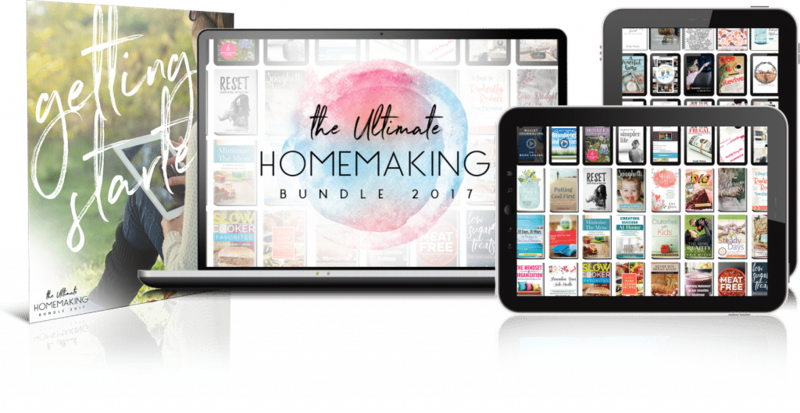 2017 Ultimate Homemaking Bundle Only $29.97! (97% Off!) – ENDS TODAY! It’s not like you expected homemaking to be a piece of cake. But you had no idea you’d be so tired, frustrated, and overwhelmed, right? I’ve often felt the same way. When I first became a wife and mom years ago, I needed GPS to find my way around the kitchen. Oh, and developing systems to efficiently handle laundry and cleaning? Um… do I have to answer that? Homemaking is filled with mundane tasks that never end, but here’s the thing: do you want to spend more time overwhelmed by things you don’t enjoy? No, no, you do not. So what if you could find resources to help you become better at homemaking (and maybe even learn to like it)? For six days only, everything you need (and then some) is in one fabulous package, for the most affordable price ever. 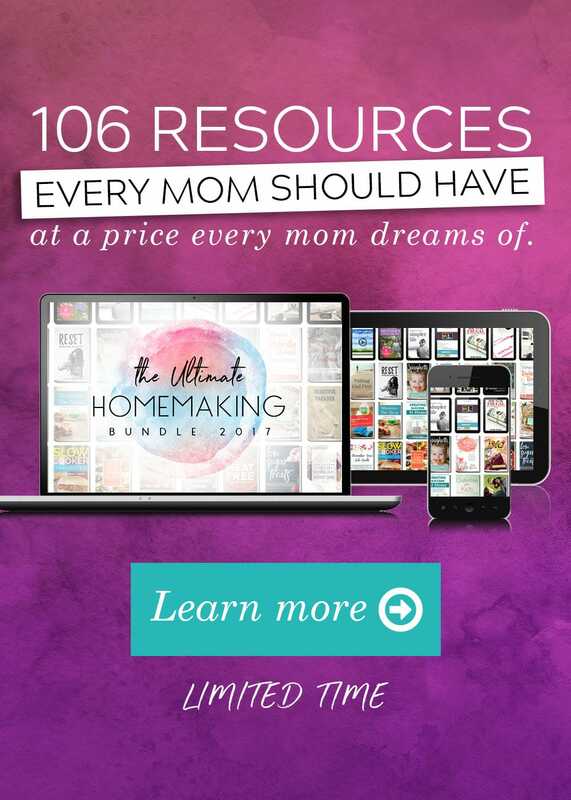 This year’s edition of the Ultimate Homemaking Bundle includes 50 ebooks, 21 eCourses, 14 printables, 2 videos, 2 audios, 2 summits, and 1 membership site. These top-quality resources cover everything you need to make homemaking and mothering feel less stressful… quick & healthy recipes, homemaking printables, cleaning tips, sizzling date night ideas, parenting helps, and so much more. Plus, it comes with over $290 worth of bonus offers from companies you’ll love! You sort of need to see it to believe it, but the package includes 106 digital products and it’s worth over $1980! Besides being so incredibly helpful, one of the things I like best about the bundle is the price. By offering it for a short time only, they’re able to give you access to over $1980 worth of amazing products for a whopping 97% off! The most important detail, though, is that this bundle is available for just six days! After Monday night, May 1st, the sale ends and you’d have to buy all of these products individually. I’d hate for you to miss out, so learn more or buy the bundle here. Becoming efficient as a homemaker is one thing. Fully embracing all the messy moments and hard times and loving it (most days) is another. But it’s not out of reach.